The skies of downtown San Antonio were filled with bright colors and lights as people celebrated the New Year, welcoming 2017. New Year’s Eve is one of the oldest holidays still celebrated; historians have stated that the “first” day of the year was implemented by Julius Caesar in 45 B.C. The Jan. 1 holiday was established to replace the traditional lunar Roman calendar with the Julian. Despite its Roman dictator origins, the holiday has taken on new meaning and is celebrated in diverse ways around the world. 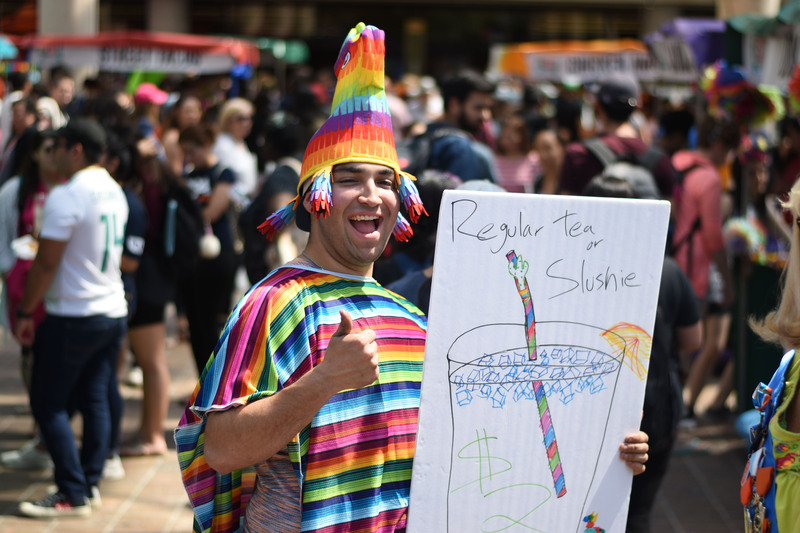 In San Antonio, the downtown streets were filled with carnival rides, food trucks and musical performances (including one by Mexican-American singer Frankie J.). San Antonians gathered to celebrate, along with visitors from California, New Mexico and Florida. During the night’s festivities, many roads were blocked, and bars along the Riverwalk offered patrons drink and snack specials. In keeping with the tradition that round food eaten on New Year’s Eve will bring good luck and fortune in the new year, grapes, round-cut ham, mini-pork sandwiches and black-eyed peas were among the fare for those welcoming 2017. 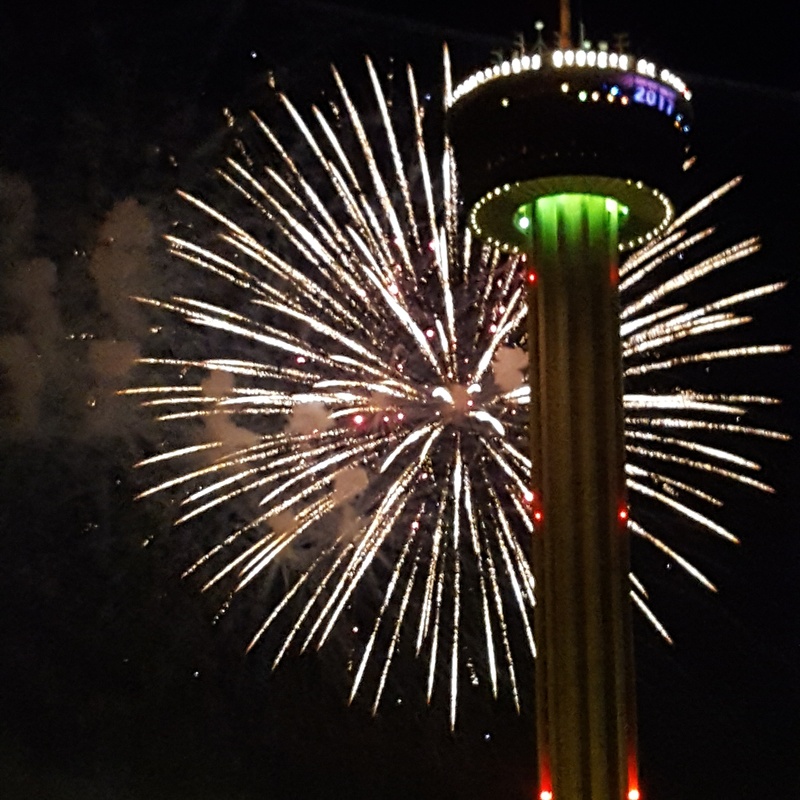 While many hotels in the downtown area offered their rooftops to guests — allowing for a spectacular view of the fireworks — some UTSA students opted for a more low-key New Year’s celebration. “I spent my New Year’s Eve with my family and one-year-old daughter,” stated junior psychology major Marcus Jackson. Jackson’s 2017 resolutions include finishing the semester with a 4.0, staying healthy and keeping a positive attitude about his classes. According to Forbes, an estimated 40 percent of Americans make New Year’s resolutions. However, University of Scranton research suggests that just eight percent of Americans will achieve their New Year’s goals. Junior kinesiology major Maryorie Perez decided to spend the New Year’s Eve with her family at the La Cantera resort. They had dinner and enjoyed the spectacular firework show. This year, she aims to earn higher grades in her classes, maintain better health and find a new job. Senior political science major Cristina Gonzalez hopes she will accomplish her goals in the new year.